Cricketer Virat kohli and Actress Anushka Sharma in lime light again. Home News Entertainment Bollywood Cricketer Virat kohli and Actress Anushka Sharma in lime light again. 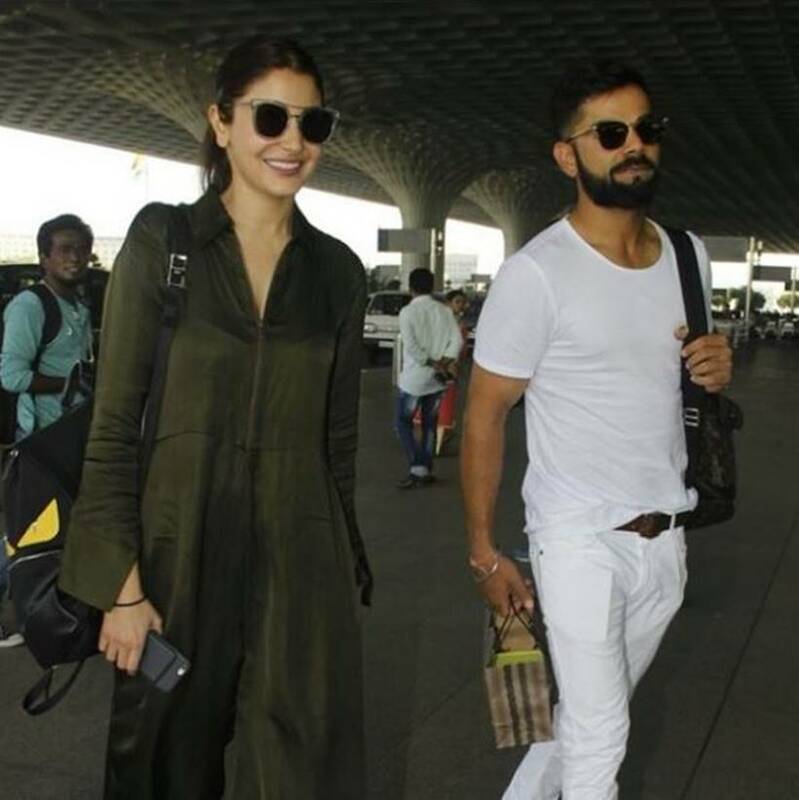 As the relationship of Cricketer Virat kohli and Actress Anushka Sharma is the talk of the town these days, both were again spotted together on the birthday of Anushka. After the birthday of Anushka, both were seen at Mumbai airport. Earlier on May 4, both were seen on the 10th Anniversary party of Royal Challenger’s Banglore. Recently they were seen on a lunch date in Bangalore. As Anushka reached Bangalore to cheer her boyfriend Virat Kohli in order to cheer him up because in IPL 10th season, performance of RCB is not good due to which they were not qualified for playoff. In this lunch date both were wearing black color outfit. After that both seen in Lavela road of Bangalore and Anushka wearing Virat’s cap. Later Anushka uploaded her pics also in the cap on Instagram. Few days ago Virat kohli also uploaded on the all social media account’s his DP with Actress Anushka, which shows their love for each other.